A native of San Diego, California, he completed his undergraduate work at Creighton University, Omaha, Nebraska. He received his medical doctorate at Creighton University School of Medicine. Dr. Schultz completed his internship at the University of California, San Diego School of Medicine, San Diego, and his residency in orthopaedic surgery at San Francisco Orthopaedic Residency Training Program, San Francisco, California. 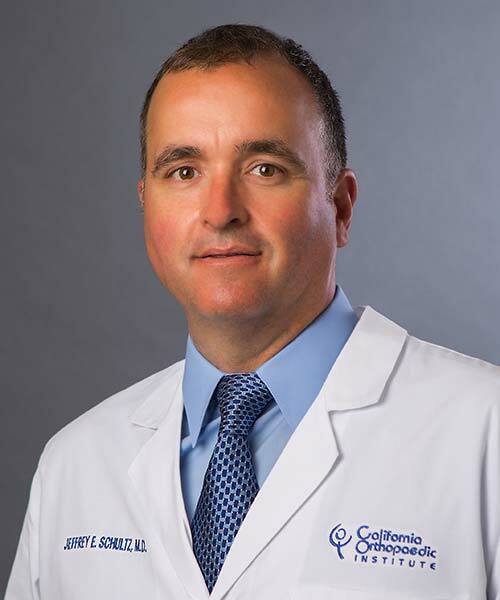 Following his residency, he joined California Orthopaedic Institute. He joined California Orthopaedic Institute in 1996.